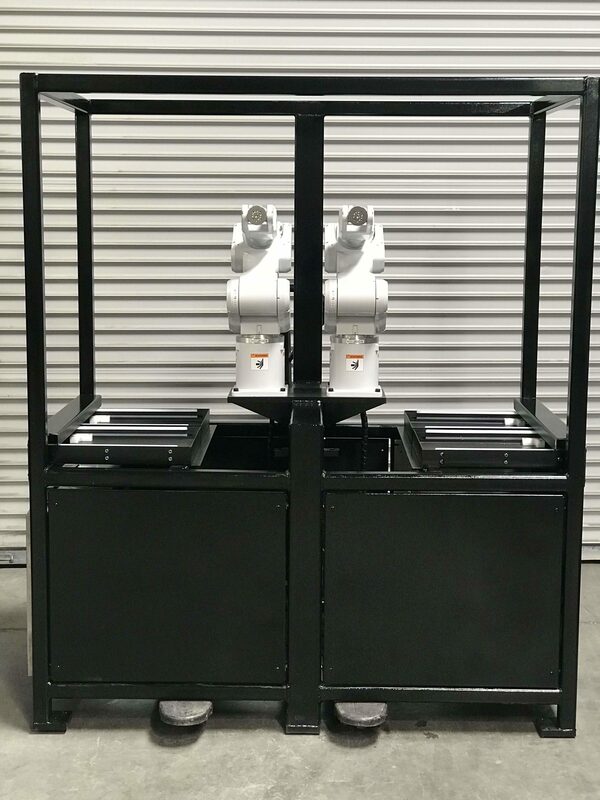 We built two press cells with dual C4L robots mounted centered for dual cavity compaction robotic removal. 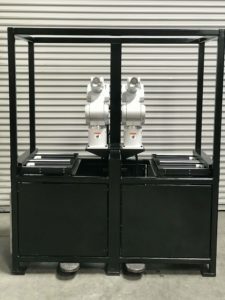 The dual robot dual cavity combo increased manufacturing capacity. Human operators have a difficult time removing two parts from a machine at one time. The increase in production will allow Capstan to enter new markets and bring on higher volume applications. 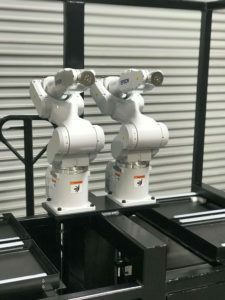 Vast-Ex, automation experts, built custom cells for housing the robots. Vast-Ex is a team of integrator’s that will take on any robotic assembly program and build the design from the ground up. 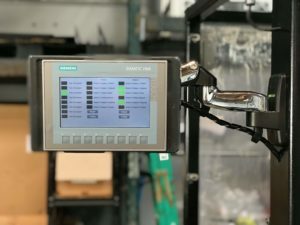 Custom robot grippers, HMI programming, tray sensors, and check lasers make this system fully operator error proof. 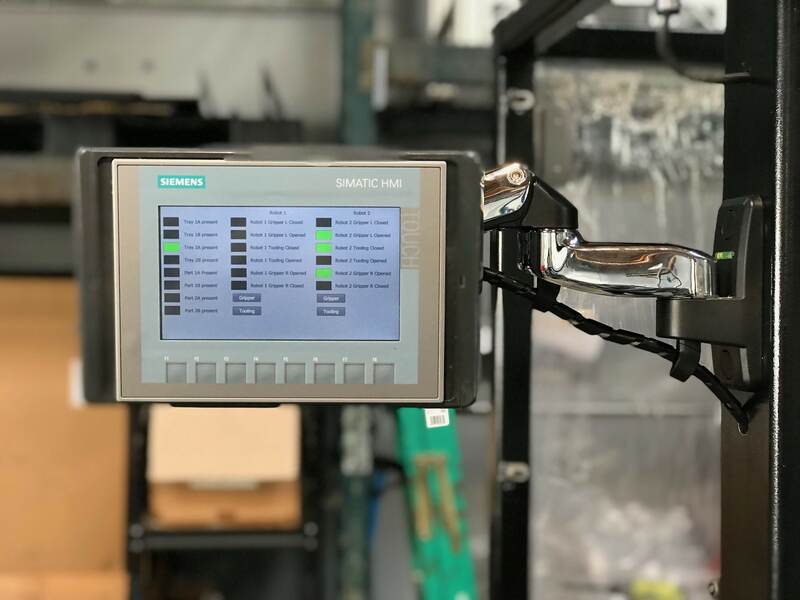 Our customers require a hands off-approach to manufacturing which reduces the amount of human error. We know that not all programs require robots and that the upfront investment to introduce this technology might not work for certain applications. We’re thankful to be working with companies that are excited to be growing with us. 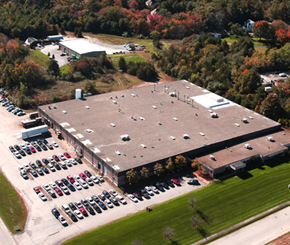 Ten years ago, Capstan Incorporated did not own a single 6-axis robot company wide. 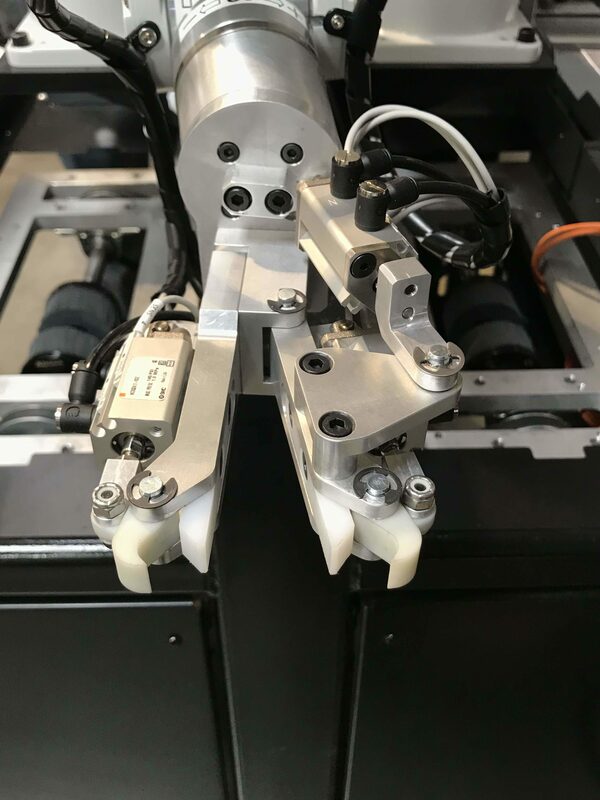 Small pneumatic grippers have been utilized for many years but investments in robotic technology were too significant to justify. 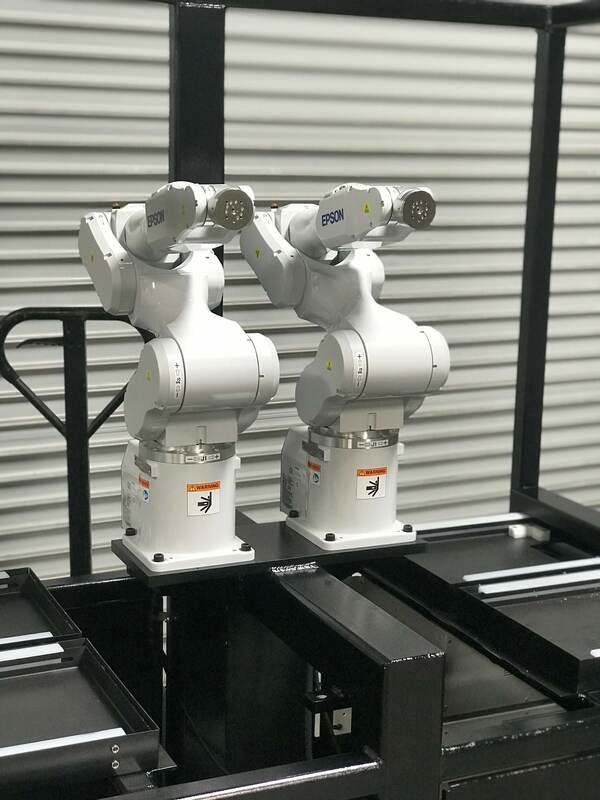 We are excited to be introducing the first set of new Epson robots and hope the implementation will lead to future endeavors.